A former top Eastbourne detective has hit out at Sussex Police after it was revealed that officers are owed a staggering four years of time off. Police officers in Sussex are ‘exhausted’ and missing out on time with their families because of the huge backlog of overtime lieu, it has been said. But the 40,538 hours (4.6 years) of overtime owed to our officers has been described as an ‘occupational hazard’ because of dwindling police numbers. The stark figures were revealed following a Freedom of Information request submitted to Sussex Police by retired top Eastbourne detective Kevin Moore, who is worried about officers’ welfare. 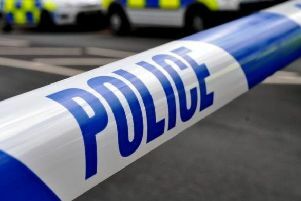 Simon Steele, secretary of the Sussex Police Federation, said: “It has sadly become an occupational hazard that time and time again officers are having to put their personal lives on hold to cope with the demands being placed on them.